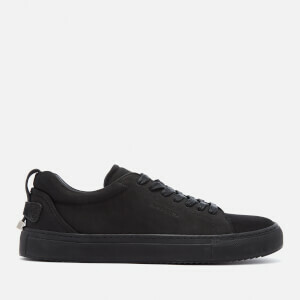 Men's adidas trainers; created in collaboration with Belgian designer, Raf Simons. Crafted from durable canvas to form a low profile upper, the 'Spirit' pumps feature a rounded toe with rubber toe cap, a classic lace-up fastening and nylon canvas tongue. 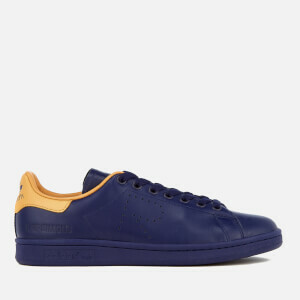 Set upon a tonal rubber sole with contrast blue stripe through the midsole. The red sneakers are finished with rubberised logo appliqués to the inside and outside foot, and a pull loop to the heel counter for easy dressing. Further branding to heel. Very good quality trainers, low profile give them sporty look. Comfortable and match exactly pictures on the website. Super fast delivery from coggles as i got them within 2 days.